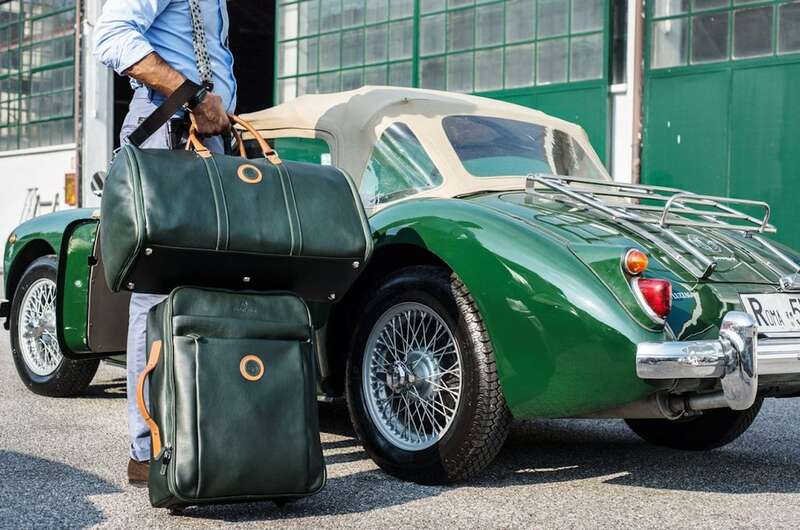 Style and travel go hand in hand with the Outlierman Leather Travel Trolley Bag, which pays tribute to the colors of famous classic cars. 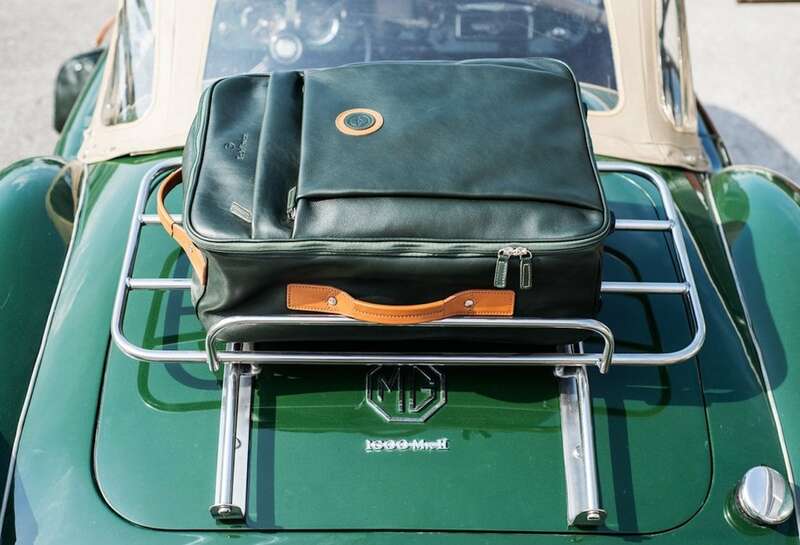 Style and travel go hand in hand with the Outlierman Leather Travel Trolley Bag. 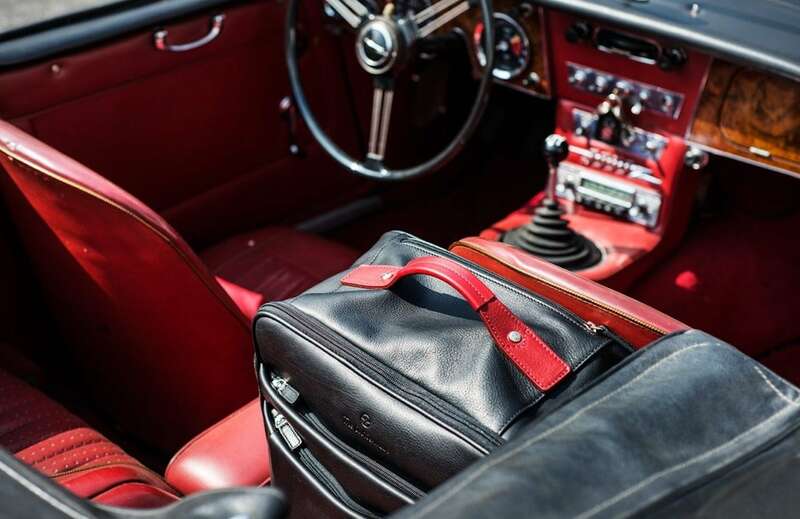 Handmade in Italy, this bag combines fine leather with contrasting details. 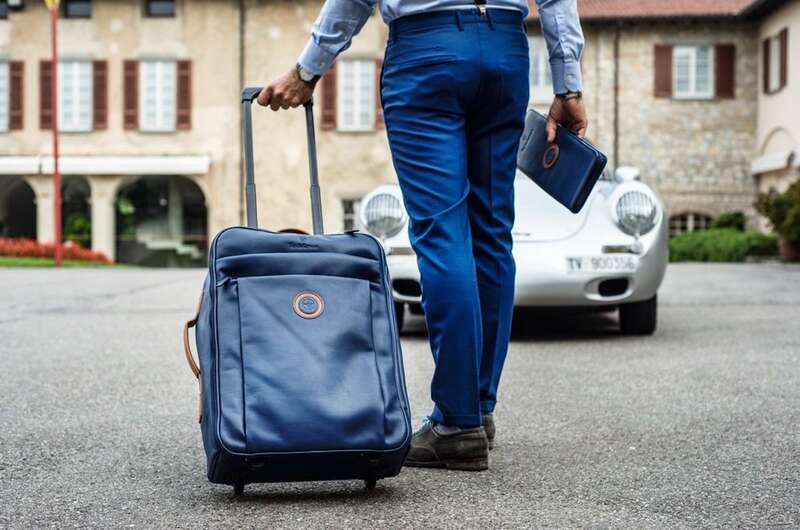 Made from 100% silk, the inner lining features the exclusive “The Gentlemen Driver” pattern. 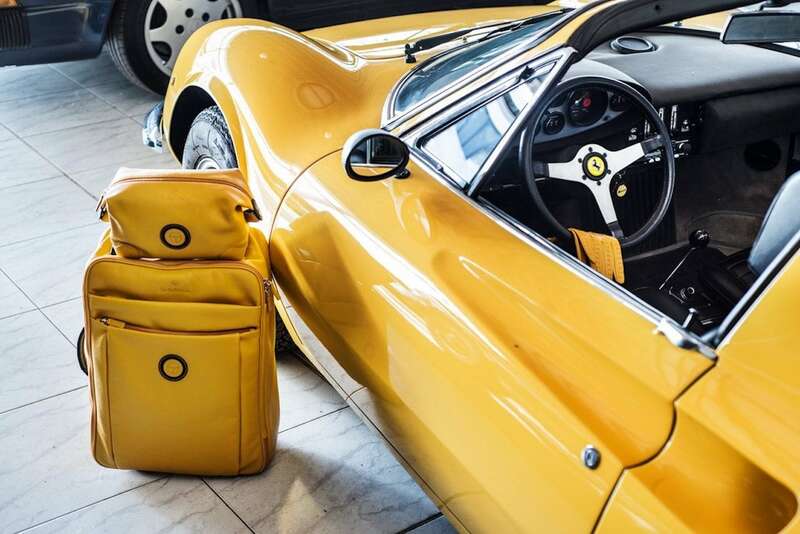 Available in six color combinations, the leather trolley bag pays tribute to the interior and exterior colors of famous classic cars. 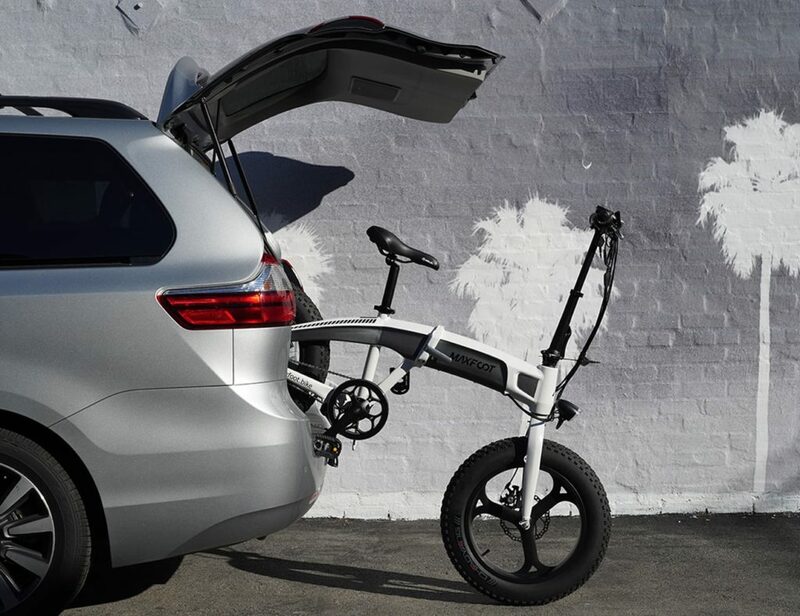 In addition, the two in-line wheels ensure a smooth glide while the telescopic handle makes it easy to maneuver. Likewise, you can also carry the bag using the leather side or top handle. 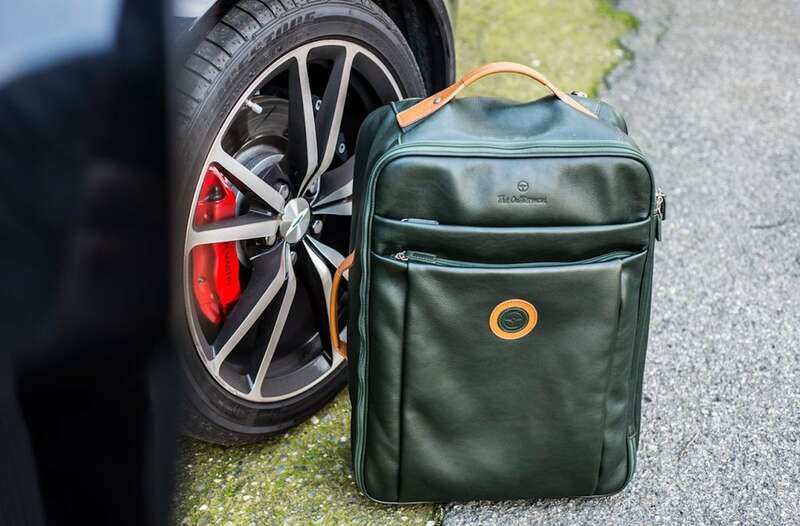 The trolley bag also comes with several handy features including an interior zippered compartment and an external multifunctional pocket. Likewise, it provides adjustable interior straps for your clothes. 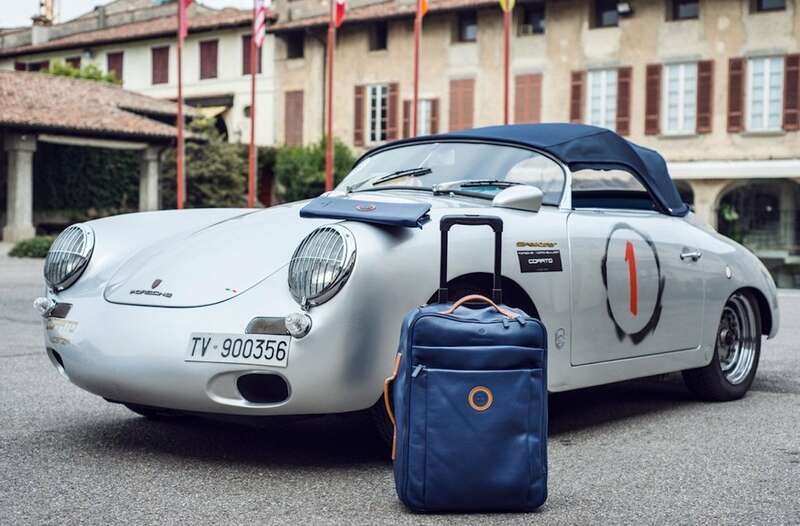 Finally, most airlines accept the Outlierman Travel Trolley Bag as carry-on luggage.